Before “career women” and “working moms” went mainstream, Gerson and Judith Leiber shared the spotlight. Gerson’s works have hung in the Brooklyn Museum and Metropolitan Museum of Art. Judith’s bedazzled handbags have been toted by first ladies like Mamie Eisenhower and Nancy Reagan. “[There was] this constant well-spring of encouragement, the fact that they were both there for each other. They were both deeply respectful…of the potential in them, what the other one could do,” said Joshua Ruff, director of collections and interpretations at Long Island Museum. The museum’s latest exhibit, Brilliant Partners: Judith Leiber’s Handbags & The Art of Gerson Leiber opened Feb. 24 and is more of a venn diagram than a 2-for-1 special. It focuses on the pair as individual creative enterprises and how their shared inspirations and support fueled their work. When guests walk in, they’re greeted by a bold Gerson Cubist painting from 1995, Antipodes, flanked by Judith’s colorful, rhinestoned handbags. 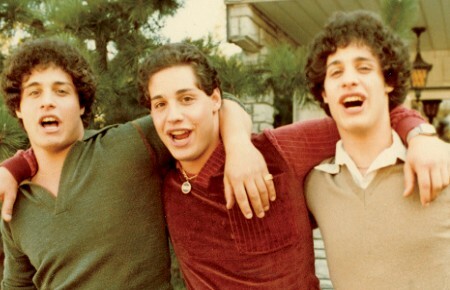 Later in the exhibit, Long Island Museum honed in on inspirations. Judith would see a perfume bottle or matchbox she found at a flea market and make a purse; Gerson drew ideas from gardens. But, inevitably, during their 70 years of marriage, they would develop ideas using similar objects or scenes. Take a series of watermelon paintings and prints done by Gerson in the 1950s and vegetable-themed minaudiéres designed years later by Judith. 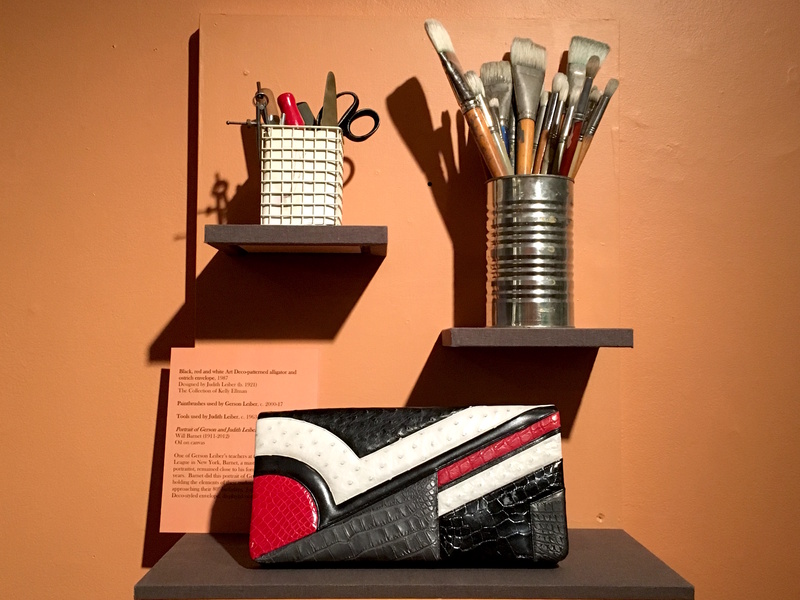 “The suggestion is not that Judy saw Gerson’s watermelon art and decided to make a handbag but rather that they come from the same world… They both possessed that ability to think in innovative ways,” Ruff said. Sometimes, Gerson and Judith inspired one another in more direct terms. Gerson did prints and paintings throughout the 1970s, 80s and mostly 90s that depicted scenes from fashion shows and parties the two experienced because of Judith’s career. 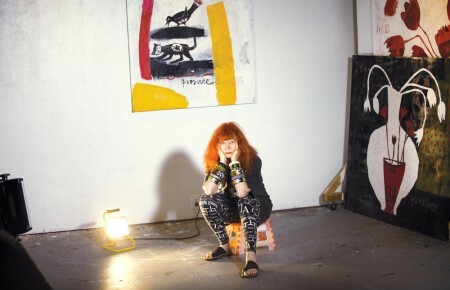 Judith designed bags influenced by artists, including a minaudiére based on Gerson’s untitled oil painting showcasing the exuberant nightlife of members of New York’s fashion scene. The purse is not in the exhibit but a photo of it has been inserted into the label near Gerson’s framed piece. Though the couple inspired and supported one another, Judith eventually stole the spotlight in a way, going international while Gerson mostly stayed national. This dynamic plays out in the exhibit, as eyes will naturally drift towards crystal-adorned purse after crystal-adorned purse, including one carried by Eisenhower, on loan from the Smithsonian Institute, which launched Judith’s career. “[Judith] experimented with the idea of creating bags and clutches and envelopes and minaudiéres that could both contain the contents of a small purse and also at the same time be works of art,” Ruff said. But to gloss over Gerson’s art would be a mistake. There are dark, textured oil-on-canvas paintings of New York post-WWII and etchings of Gloucester, Mass. His most recent paintings make use of brighter palettes but continue to play around with line and form. Yet if you did overlook work in favor of his wife’s, Gerson likely wouldn’t take much offense—he never has. “I expunged her and she encouraged me and we were happy campers,” Gerson said in a video interview that plays on a small TV screen in the exhibit. 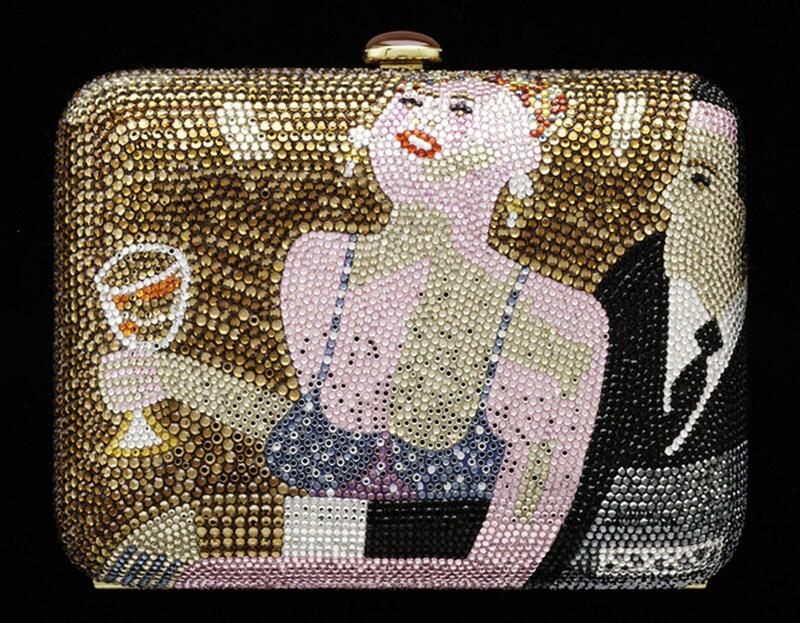 Judith Leiber’s Handbags & The Art of Gerson Leiber is on display through June 4 at Long Island Museum in Stony Brook.